These are high speed camera and DVR Combo’s used for long term high speed recording. 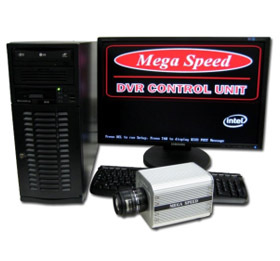 These systems are designed to record high speed video for hours or days at one time. These systems can be used on your production line or at your testing facility. They will record and save continuous uninterrupted high speed video so that you will be able to review, analyse and quickly identify and correct the problem with unsurpassed speed and efficiency.